Five days after the unsuccessful attempt by a Nigerian student to set off a bomb aboard a Detroit-bound passenger jet, US military and intelligence officials are said to be preparing expanded military action against targets in Yemen, the Arab country where the student allegedly received terrorist training and was equipped with an explosive device. The network said the Obama administration and the long-time Yemeni dictator, Field Marshal Ali Abdullah Saleh, had reached an agreement to allow the US to fly cruise missiles, fighter jets and armed drones, used for remote-control assassinations, in Yemeni airspace. Talks were still ongoing on whether Saleh will give permission for the entry of US helicopter-borne Special Forces. The report comes after a series of statements by top administration officials, including Obama himself, pledging that “all elements of US power” will be used in response to the failed attack on Northwest Flight 253. The White House has been under heavy fire from its Republican opponents over the evident security failure, and a military action would serve to divert public attention from the ongoing revelations of how the CIA and other US agencies ignored warnings about the impending attack. Yemen’s foreign minister, Abu Bakr al Qirbi, told the BBC that his country was seeking stepped up military aid, presumably as part of a package deal—in effect, a bribe for allowing the country’s territory to be turned into a battlefield for US commandos. The news agency reported a clash between Yemeni security forces and Al Qaeda fighters in the western Hudaydah province, around the town of Deir Jaber. The Los Angeles Times cited a Yemeni terrorism expert as the source of an estimate that Al Qaeda has “as many as 2,000 militants and sympathizers exploiting the country’s economic and political chaos to create a base for jihad at the edge of the Persian Gulf.” This is ten times more than other media estimates of the number of such militants in Yemen, and 20 times the number of Al Qaeda forces said by US officials to be in Afghanistan now. The Times report is part of an effort by the US media to portray Yemen as a lawless hotbed of terrorism and a major threat to the United States, in order to justify in advance an American attack, or even a full-scale invasion. “Yemen possibly could surpass Pakistan in the next year, given the terrorist trajectory for providing a haven for Al Qaeda,” he claimed. In light of the fact that the Obama administration is mobilizing 100,000 American troops as well as hundreds of warplanes and drones for combat along the Afghanistan-Pakistan border, such a comparison is extremely ominous. The clear goal of such far-fetched claims is to create a pogrom atmosphere directed against all young American Muslims, particularly those of Arab or East African origin. These comments were made one day after press reports of an alleged abortive attempt by a Somali man equipped with explosive powder and a syringe to board a passenger jet in Mogadishu, the capital city. This is the same modus operandi as that of the Nigerian man, Umar Farouk Abdulmutallab, aboard Northwest Flight 253 on Christmas Day. The Somali was arrested by African peacekeeping troops on November 13 and never succeeded in getting on the plane. Once again, as in the case of Afghanistan and Iraq, American imperialism is preparing a military bloodbath in an impoverished country, using a terrorist attack—in this case a failed attempt—as the pretext. According to reports by the UN and Yemeni government statistics, some 35 percent of the adult population of the country is unemployed. Yemen is the poorest of the Arab countries, has exhausted its very limited oil export capacity, and now faces severe water shortages. But Yemen possesses, like Afghanistan and Iraq, a highly strategic geographic location, adjacent to Saudi Arabia, the world’s largest oil exporter, and the Red Sea, controlling access to the Suez Canal. 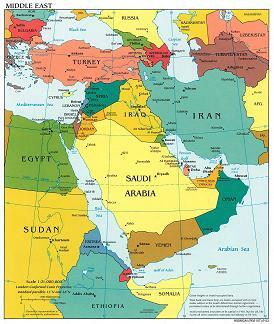 Yemen also borders on the Gulf of Aden, the shipping route for much of the oil leaving the Persian Gulf. US military forces are already deployed across the strait of Bab el Mandeb in Djibouti, the former French Somaliland, which remains a virtual French colony. Djibouti hosts thousands of French and US troops who could quickly move into Yemen if so ordered by Paris and Washington. A large US and NATO war fleet patrols shipping lanes through the Gulf of Aden and south along the Indian Ocean coast of Somalia.